After a hard day’s work with routine and schedules, you need to relax and have some good times with your pals. 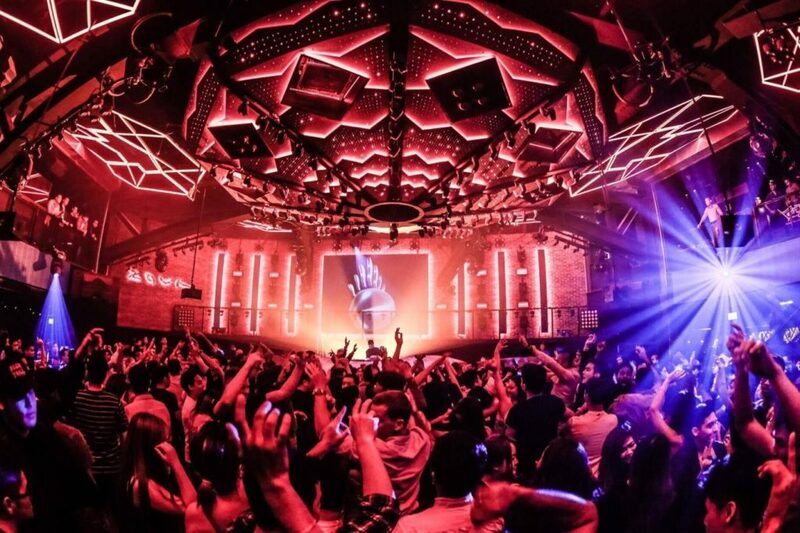 With modernization and tight schedule activities life has become monotonous and listless, nightclubs add some spice in it. Nightlife includes a various form of entertainment like pubs, nightclubs, parties, concerts, cabarets or casinos like maxbet (online or offline) from late evening to early morning. For some people, a night has always more alluring to entertainment than a day. Nightlife is another social entity and “Night Owls” are their inhabitants. Entertainment takes many forms at night; some are tangible others are not. Nightlife industry is thriving across the globe as it satisfying different wants of different people. The socioeconomic movement and liberal views have contributed to its growth. The better and easy 24hr transport system, Led street lights which are white than previous orange one are bridging the gap between dusk and dawn. Late night parties have become common; many cafes are now open 24*7, maybe this society is heading towards 24*7 era. All major metros over the world have their own way of enjoying nightlife which have distinct feature and fashion. The world is becoming a global village, so cultures and ethics of different countries are mingling to form a new cosmopolitan and urban culture. They call it sin city one of the few cities to have a lot of fun even without leaving your hotel room be it clubs, bars, casinos and much more. Book a VIPs table; get an early entry with your identity pass the first-hand experience will vibrate for a long time. The dance floor led video screen synchronized with music is a total knockout experience. When night falls on Las Vegas the whole city metamorphoses into a dreamy world. The hotels light up, water shows and thrill rides starts, dancing and gambling start their show.Water, light and music dance to synchronicity in front of Bellagio is a feast to your eyes and mind. Cirque du Soleil`s (the French word for water) is a theatre with a movable stage where heart-stopping acrobatics, trapeze and high diving is performed by aerobics. If you are brave heart take a ride at Stratosphere tower. The tower itself is 866 ft, and a mechanical claw-like instrument will spin you and others at a speed of threads. Casinos of Las Vegas are famous for the pomp and show most of them offer free drinks to players. If you are entirely new at gambling, it is better to stick at a carp which is a dice game. Do locals call gambling “gaming” are you into it? “The city of lights” Paris is more beautiful and exciting than day time. If you want to spend a quiet and romantic evening, have a trio to I`ll be saint –Louis island. Life here is, and you will find a different restaurant to relish your dinner. Take a stroll along the river Seine which is beautifully illuminated. In a chilly night inside of an opera, classical concert or ballet will keep you warm and cozy. You will find lots of bars and café to enjoy late night drinks sipping famous French wines and alcohol. If you want to party there are numerous night clubs where you meet locals and other tourists. Entry fee ranges from 15 to 25 Euros. Louvre palace at night has a spectacular view at moonlight. Parisian cabarets are an integral part of Parisian nightlife. Cabaret shows include singing, dancing and juggling with dipper and wine option. You can enjoy the whole night over here. London offers something for everybody at its nightlife. Mayfair situated at the heart of the city is bustling with shops, malls, restaurants, pubs and bars. Soho located in central London offers live music, bars, restaurant, you will be more than happy to visit this place. On weekends pubs, bars and clubs remain open longer mostly till 3; 30 am than normal days. London is a city which never sleeps, and the party starts at around 6 in the evening. When the clock strikes midnight, it is not midnight, but the party is still young. Most important cities thrive with life as dusk falls with bars, jazz club, cabaret and casinos. You will have no trouble to entertain yourself as per your liking in late hours where ever you are travelling in this world. You can browse through the net to find a different kind of entertainment in different parts of the world. Hangouts with friends in nightclubs can be very entertaining, dancing rejuvenates you, but self-control to enjoy nightlife is also essential.